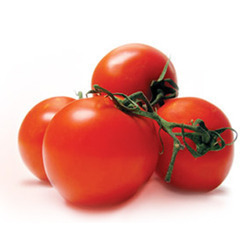 Lycopene extract from tomato is a lycopene-rich extract prepared from the ripe fruits of tomato (Lycopersicon esculentum L.). The product is manufactured by crushing tomatoes, to produce crude tomato juice that is then separated into serum and pulp. The pulp is subsequently extracted using ethyl acetate as a solvent.